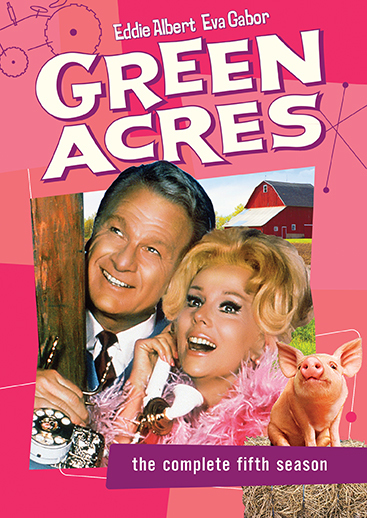 Head back to Hooterville hilarity with Green Acres: Season Five, starring Eddie Albert and Eva Gabor! 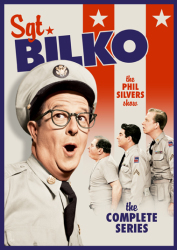 Leaving the bright lights of New York City behind them, Oliver Douglas (Albert) and his wife Lisa (Gabor) discover some of the most eccentric characters and zany situations in all of television history. 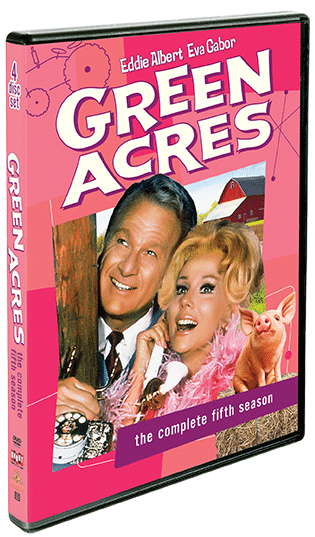 Season Five finds the Douglases getting a visit from Lisa's "mudder" and Hooterville playing host to the world's first millionaire pig! Arnold Ziffel's College of Useless Knowledge, #5: The immortal Green Acres theme song was composed by Vic Mizzy, who also gave us the equally memorable theme to The Addams Family.